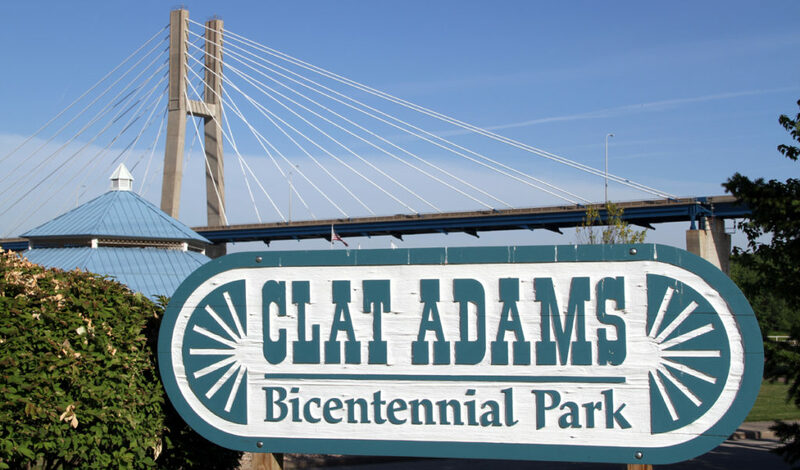 Clat Adams Bicentennial Park is located on three acres at Front & Hampshire Streets at Quincy’s riverfront. 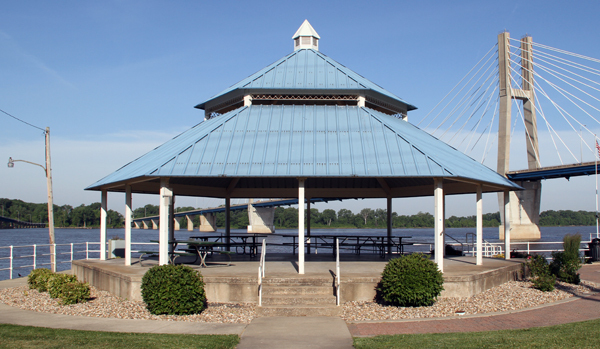 Clat Adams features a wonderful scenic view of the Mississippi River, a large blue and white gazebo, decorative fountain and restrooms. Clat Adams hosts the communities July 4th celebration, band concerts and many other community events. This park may only be reserved for public events which are open to the community. 40 ft. x 40 ft., 1,600 sq. ft.